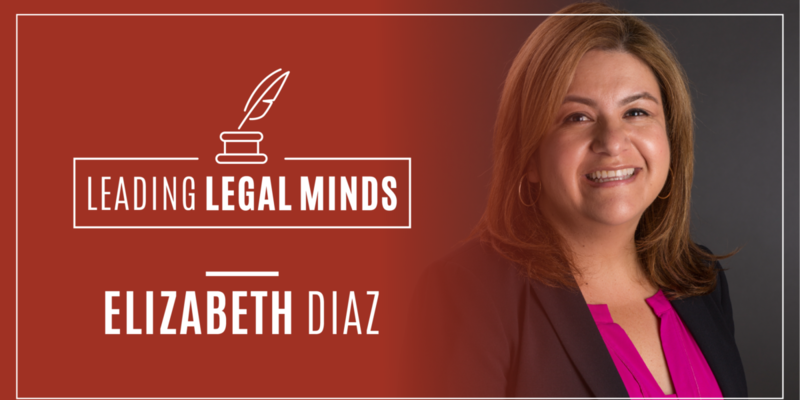 Born and raised in Santa Barbara, California, Elizabeth Diaz, J.D., started translating legal documents for her immigrant parents early on in life—her dad called her his “little lawyer”. From a young age, Diaz knew she wanted a career where she could make a difference in people’s lives. It was this drive that led Diaz to the University of California, Santa Barbara to study law and society. While a student, she worked as an intake coordinator at the Legal Aid Foundation of Santa Barbara County, a nonprofit law firm that provides free legal assistance to Santa Barbara County residents, specifically low-income people, seniors, and victims of domestic violence, sexual assault, and human trafficking. Founded in 1959, Legal Aid has provided low-income people in the community legal help for 60 years. Her time at Legal Aid reinforced the path she had imagined for herself. To further her career, she went to The Santa Barbara & Ventura Colleges of Law, tapping into the powerful legal community that existed in Santa Barbara. Upon graduating, she returned to Legal Aid and started work as the Domestic Violence Restraining Order (DVRO) Clinic Coordinator. Her role soon expanded beyond the clinic. While serving as the DVRO Clinic Coordinator, she worked at all three Legal Resource Centers in Santa Maria, Lompoc, and Santa Barbara. In 2012, Diaz became the Managing Attorney of the Family Violence Prevention program, where she still works today conducting case reviews and providing legal representation to survivors of domestic violence, sexual assault, stalking, elder abuse, and human trafficking in civil cases. Just as Diaz’s roles have evolved at Legal Aid over time, Legal Aid itself has undergone major changes. But the past 20 years haven’t been without struggles. As a nonprofit, Legal Aid is reliant on grants and donations to keep operations running. Diaz never had dreams of going corporate and making millions like some aspiring lawyers she knew. She is happy to make a difference for people who can’t afford quality legal services. And now, she’s slated to be County Bar President. It’s a fitting accomplishment for a woman who has dedicated her life to giving back to the community that raised her.